LABOR DAY PARADE- ANNUALLY – Since 2003 – Pictured in 2007 it was the 5TH Annual Labor Day Parade with free picnic lunch and watermelon for the community donated by Timber Lane CIA, Hays Utility South and TLUD. 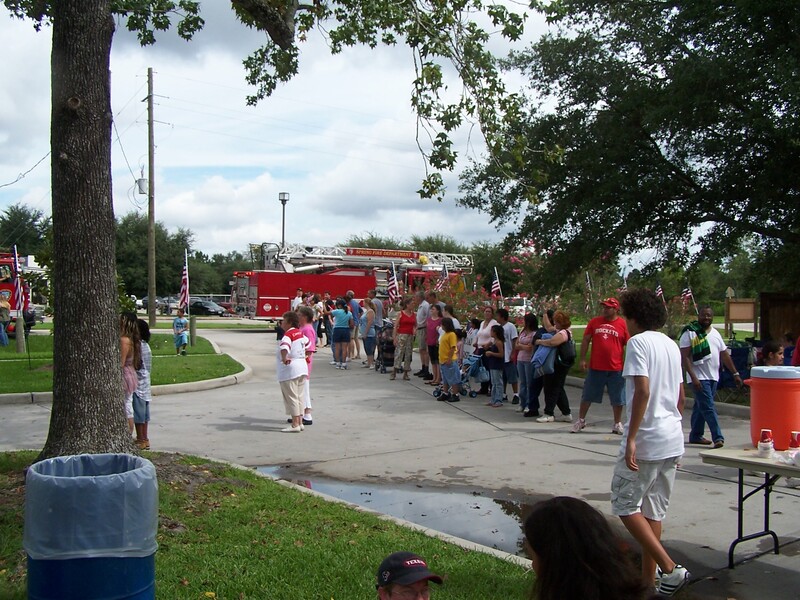 We had 500 people in the parade and served 700 lunches. We also had live music during the picnic lunch. The parade in 2013 was the 11th year, sponsored by HEB, and served over 1100 lunches. In 2018 we will be celebrating our 15th year of having the parade and will have some special activities on September 3RD 2018. The parade was sponsored by our local Foodtown supermarket. It was wet but all enjoyed the day. 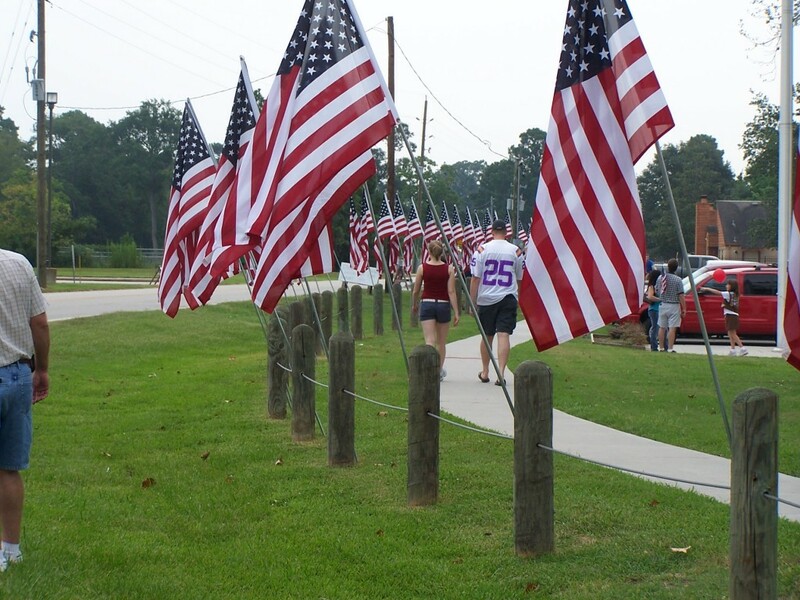 This program posts flags at our parks by the Boy Scouts of Troop 1565 and Troop 62 on the flag holidays approved the TLUD Board of Directors. This annual event at Liberty Park includes the Haunted House built by community volunteers, moonwalk, Water Is Life booth and blow up slides. In 2007 we had 98 volunteers work in the construction and operation of this event. We had 3000 people attend. All donations to the Haunted House and food items went to Spring Assistance Ministries (our local food bank) and NHS Spring HS Scholarship Fund. 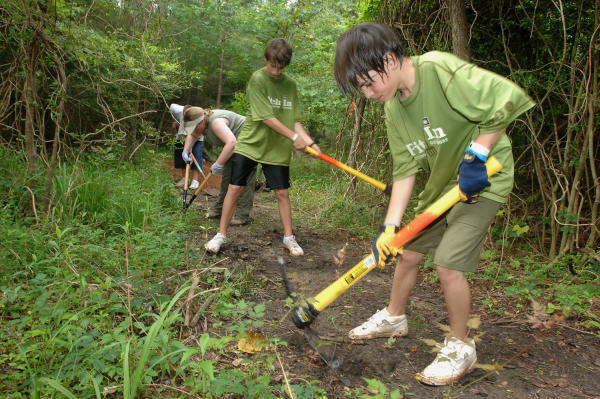 This event has taken place on the first Saturday in June since 2007 had hundresds of volunteers from the community to work on our Cypress Creek Hike and Bike Trail. There have been many groups represented – Boy Scout Troops 62, 263, 382, and 1565, Girl Scout Troops, Order of the Arrow Chapter, Texas Master Naturalists (Heartwood and Gulf Coast Chapters), Precinct 4, Geocashe, GHORBA and REI. 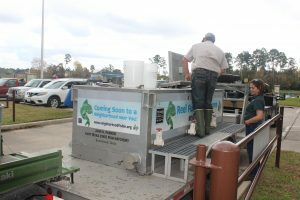 In conjunction with Texas Parks and Wildlife -Fisheries Division we are sponsoring a special Neighborhood Fishing Program at Herman Little Park where we are stocking rainbow trout every two weeks from November through March. 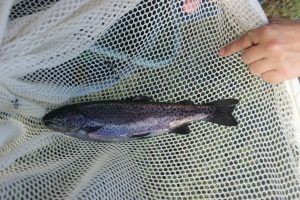 There is a limit of 5 trout per person according to state regulations and a state fishing license is required if you are 16 or older. Herman Little Park is located at 18660 Casper Dr.